With the best of summer seemingly over, UK Glassrooms has special offers to help you continue making the most of your outdoor space despite the increasing chance of rain. With the ability to have heaters and lights attached to your glassroom too, the colder and longer nights won't make much difference either. UK Glassrooms are specialists when it comes to luxury awnings, glass verandas, and louvred roof systems and the following offers have been designed to help you make the most of your outdoor space. This Winter, get up to a massive 30% off when you place an order for a Markilux or Weinor awning or pergola system. Winter is upon us, but before you know it Spring will reappear and with it will come consistently better weather. To prepare you for the sun and the warmer months, we are offering up to 30% off on a whole range of different full cassette awnings and pergolas from market leaders Markilux or Weinor. This includes best sellers such as the Markilux 970 or the Weinor Semina Life. 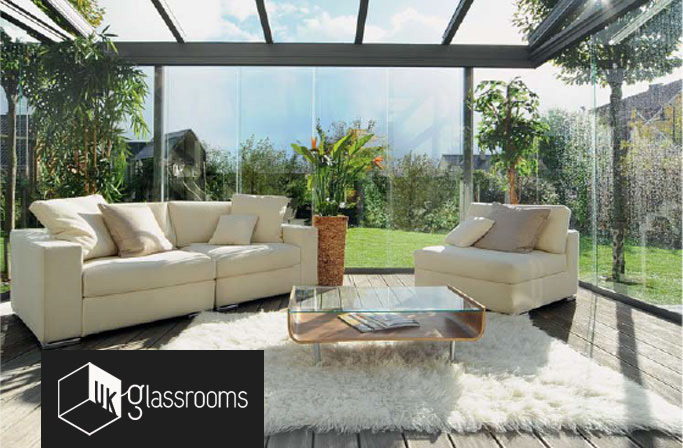 To help with the longer and darker nights, UK Glassrooms are offering large discounts on all glass verandas and outdoor rooms. With rain and snow becoming more of an issue as the nights get longer, colder and darker, help protect yourself and continue your enjoyment of your outside space by saving up to 25% on a whole range of systems from world beating companies such as Erhardt Markisen or Weinor. Due to the modular basis of the systems, they can be purchased now and have glass sides or doors filled in at a later basis.